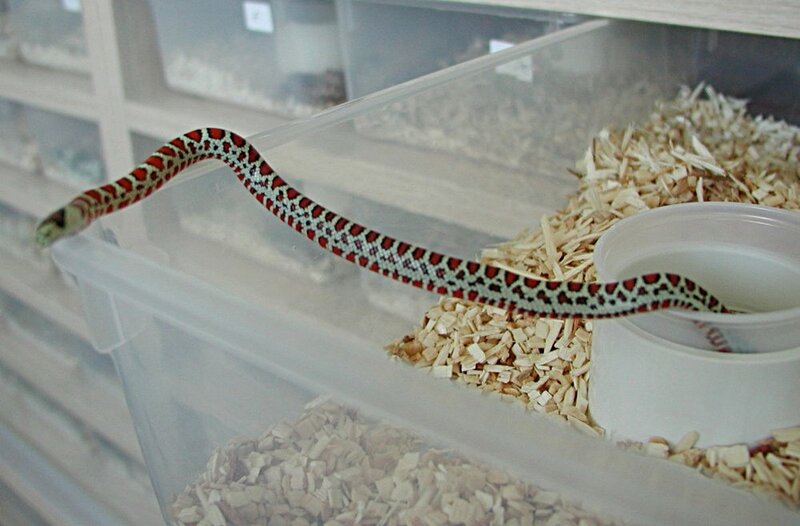 Tarahumara Mountain Kingsnakes have a unique color pattern of 60 to 80 triads with the white bands joining on the sides forming lateral zig-zag white stripes along the full length of the body. Even with the high band count the orange or red bands are usually complete dorsally. One key trait in the most beautiful examples is a symmetrical distribution of the pattern. The process of establishing and developing this subspecies in captivity was considered by Professional Breeders® as early as 1981 and began in 1987. Steve was part of collecting expeditions to the remote type locality (Mojarachic) in the Tarahumara Mountains, Chihuahua, Mexico in 1987 and 1988. A total of 15 adult specimens were collected and the first breeding and hatching of knoblochi in captivity was accomplished in August of 1988. Three distinct color and pattern morphs were evident in the original collected stock. We have carefully refined these morphs through highly focused third and fourth generation selective breeding. Several hypomelanistic examples have been produced, including a 2009 specimen from our Type I lineage. It was unknown that the hypomelanistic genetic trait was present in our founding breeding stock until this hatchling was produced 21 years later. Adults can attain a length of at least 52 inches. This is the largest adult size for all Mountain Kingsnakes by a wide margin. 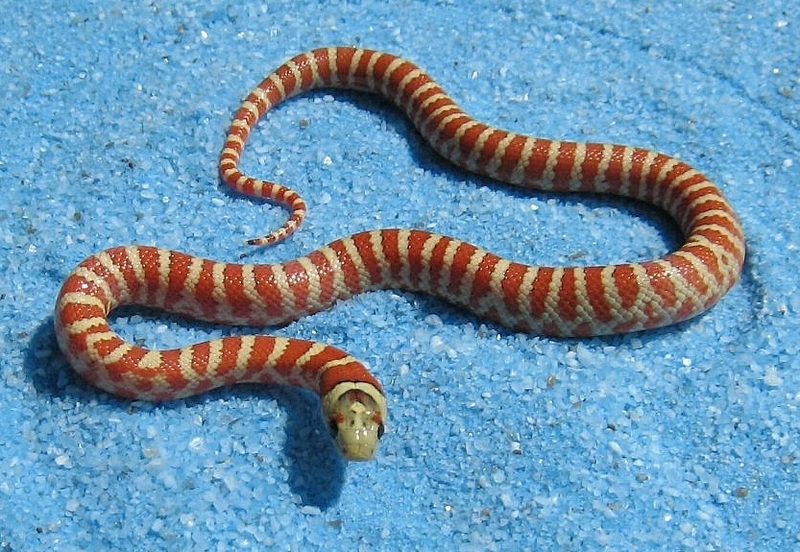 Because of the natural exquisite beauty and through the refinement of traits, Tarahumara Mountain Kingsnakes have become the most desirable montane kingsnake. 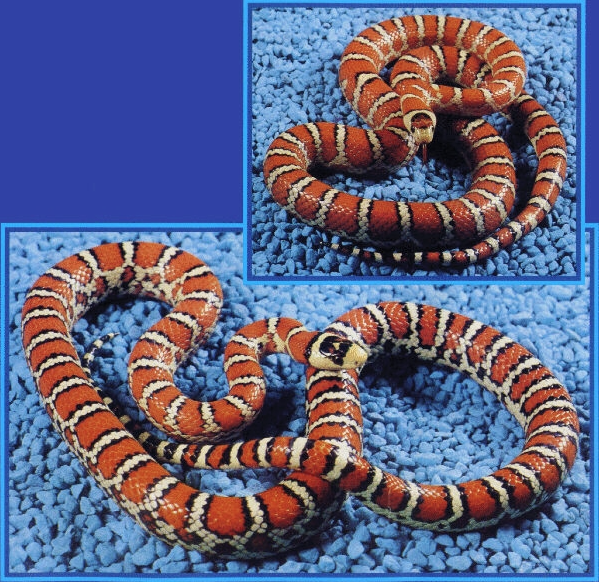 Has uniform squarish orange or red banding bordered by narrow black and low to medium lateral white stripes with black and red blotching in the lateral white. A red or orange blotch is present on top of the head. Has small oval shaped red blotches with wide black borders and very high lateral white stripes and white interspaces with some red and mostly black blotching in the lateral white. A red blotch may be present or absent on top of the head. Has uniform bright orange banding bordered by sliver thin black and low lateral white stripes. An orange blotch is present on top of the head. This type is easily recognized by an extreme reduction in black pigment and a bright orange ventral surface. A recessive genetic trait that reduces or eliminates the black pigment on most of the body, with residual black pigment present on the top of the head. This is an emerging trait with remarkable appearances, represented by only a few examples.